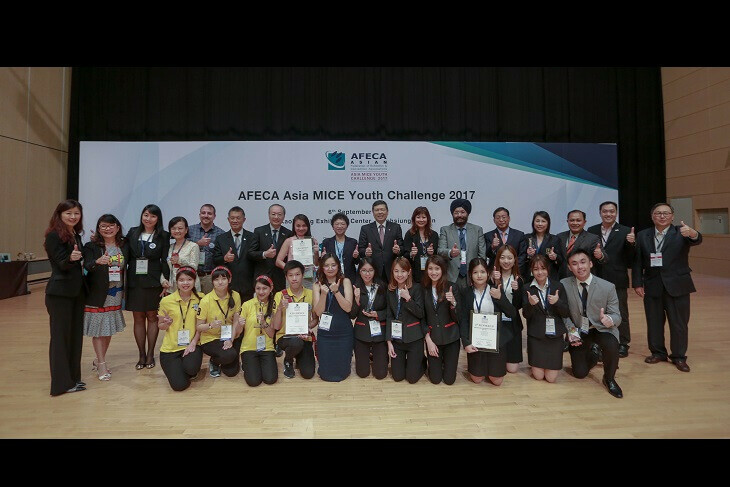 Malaysia and Taiwan took top prize at the third staging of the Asian Federation of Exhibition and Convention Associations (AFECA) Asia MICE Youth Challenge 2017, an unprecedented result, earlier this month in Kaohsiung, Taiwan. Taylor’s University, the team from Malaysia supported by Malaysian Association of Convention & Exhibition Organisers & Suppliers (MACEOS), and Chihlee University, from Taiwan supported by Taiwan Exhibition & Convention Association (TECA), were Overall Champions for having the most attractive, effective and strategic business plan that positioned Malaysia and Taiwan as the ideal MICE destinations in Asia. Second Runner Up was from Hong Kong, Hong Kong Polytechnic University, supported by Hong Kong Exhibition & Convention Industry Association (HKECIA). Aimed at developing young, raw talent in the meetings, incentives, conventions and exhibitions industry in Asia, AFECA Asia MICE Youth Challenge 2017, with 14 participating teams representing 7 Asian countries/areas, is the industry-championed platform organised to showcase the innovative thinking, strategic approach and creative execution of students majoring in MICE, Business Events, Business Management, Hospitality and Tourism fields. There were 14 participating teams representing 7 Asian countries/areas this year. The countries/areas represented this year were Hong Kong, Japan, Macao, Malaysia, Singapore, Taiwan and Thailand. 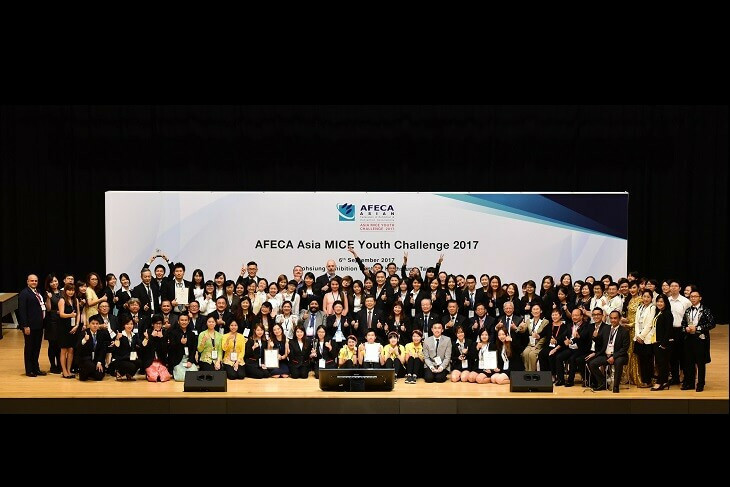 AFECA Asia MICE Youth Challenge 2017 is organised by AFECA, the federation with 34 MICE association members, 96 corporate members and 2 affiliates in 18 cities/countries, and the regional organisation representing the MICE industry in Asia. For more information, please contact Bran Chiu at afecaamiceyc@afeca.asia.